The last quarter of 2017 brought us some downright excellent smartphones. Between the iPhone X, Pixel 2, and Note 8, consumers have more fantastic options than ever when choosing a new device. It's now the perfect opportunity for Samsung to set the tone for 2018 smartphones with their exceptional S9 and S9+. While not a major departure from last year's S8 and S8+, the Galaxy S9 is nonetheless a great effort by Samsung. With updated and improved internals, a new dual-camera setup, and the intriguing variable aperture system, the S9 is a worthy successor to the fantastic 2017 line of Galaxy devices. 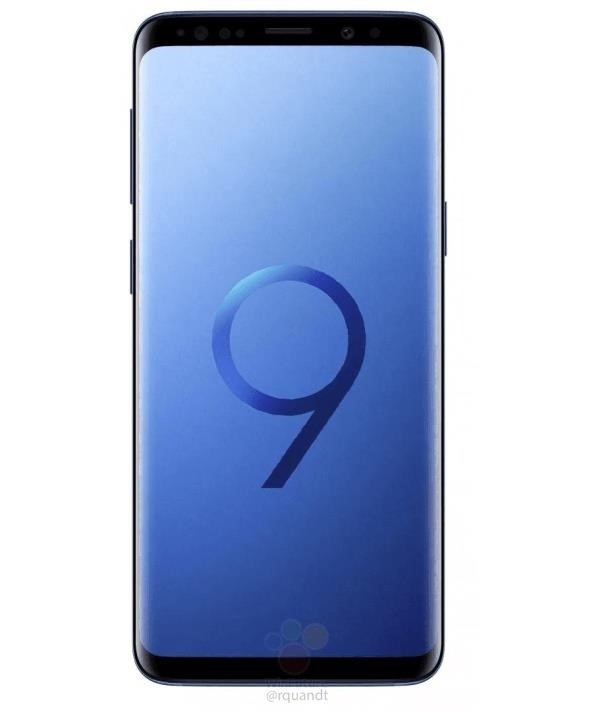 Now that we've gotten our first official look at the S9, we need to turn our attention to its release date. Luckily, Samsung isn't making us wait long — the newest Galaxy flagship will be available for pre-order starting March 1. After that, users can expect stores to begin selling the S9 March 16, granted they don't sell out immediately. Those who pre-order should get the phone a bit faster. Samsung is sending out preorder shipments starting March 9, so they could be on doorsteps as soon as the 11th. While the S9 might be similar aesthetically to its 2017 predecessor, we do have some upgrades here to keep the design fresh. Samsung shrunk the bezels even further for the S9, especially on the bottom chin. Hold the S9 and S8 side-by-side, and you'll see just how pronounced the S9's display truly is. Of course, sometimes the best features are the ones that go unchanged. Samsung has once again decided to include the headphone jack on its flagship, a move that will surely give them marketing ammunition against Apple, Google, and any OEM to remove the beloved port. But Samsung itself may have given us a look at the new design. In an update to Samsung's music app Soundcamp, Samsung used an outline of a Galaxy device to demonstrate new features. 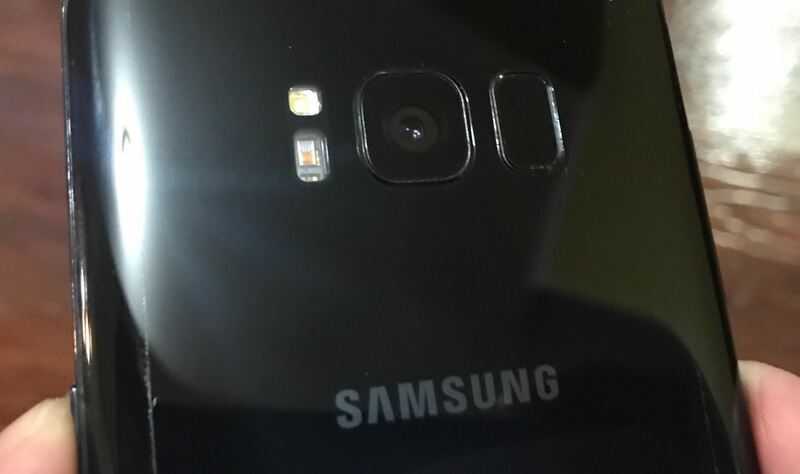 However, the outline doesn't look quite like the S8, since the bottom bezel is smaller than the top. 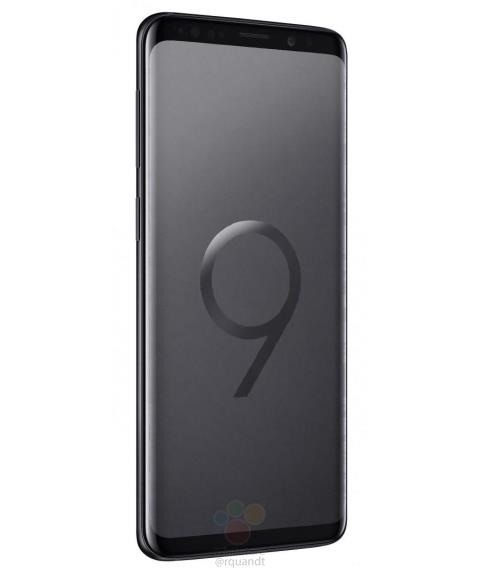 The biggest change might either be what material will be used for the S9's rear panel or the general layout of various sensors and cameras on the back of the phone. Ice Universe, a Chinese leaker with a great track record of smartphone prediction, has tweeted that the "back of the Galaxy S9 will change a lot." Unfortunately, however, he didn't elaborate on his post, so we'll need to wait for further details to emerge. Of course, the most present feature on the S9, as it was with the S8, is that "Infinity" display. The S9 is rocking a 1440 x 2960 Super AMOLED display, either in 5.8" or 6.2" models. The display's aspect ratio is that unconventional 18.5:9 introduced with the S8. While traditional movies, TV shows, and certain content will not fit the widescreen window, properly-optimized games and apps look fantastic. What it lacks in a design overhaul, the S9 makes up for with internals. 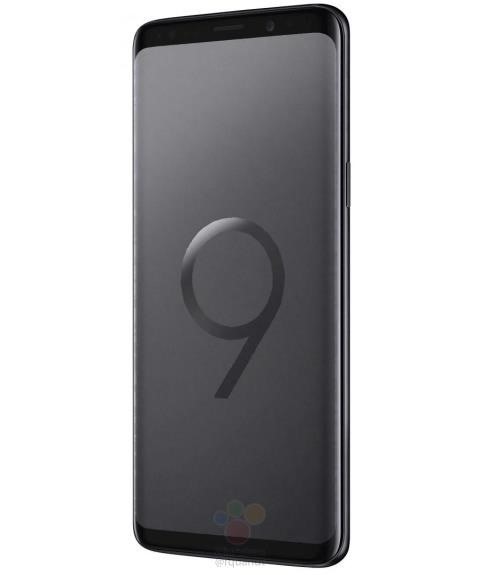 The S9 sports some of the best technology the mobile market has to offer — it's the first device to include the Snapdragon 845, which Samsung boasts will pack four 1.7 GHz and four 2.6 GHz processors into one powerful SoC. The Galaxy S8 was the first flagship to sport the 10 nm Snapdragon 835 and even secured exclusive rights for initial production batches that forced competitors like LG to either switch to lower-end processors to meet deadlines or delay their release entirely. Of course, Snapdragon isn't everything. While we're excited to see what our US S9s are capable of, other markets will find their newest Galaxy devices considerably faster. That's due to the Exynos 9810 chip, which will feature four 1.9 GHz and four 2.9 GHz processors. While we wish Samsung would supply us with the Exynos models of the S9, but we know by now that's just a fever dream. Aside from processing power, the S9 comes loaded with 4 GB of RAM, while the S9+ features 6 GB. While both amounts of RAM are more than enough in most cases, if you multitask with a large volume of demanding apps, you might want to opt for the S9+. The Note 8 was the first Samsung device to jump on the dual camera bandwagon. While Samsung has moved to include the technology in its flagship "S" phones, only the S9+ features dual cameras. The S9 retains a single camera, just as the S8 and S8+ did. While the rumors had us believe the S9 would come packed with 16 MP rear cameras and a 12 MP front one, that's not the case here. Samsung still packed some excellent tech in its 2018 cameras — the S9 and S9+ feature 12 MP rear cameras, and an 8 MP front cameras. The S9's rear cameras feature a variable aperture, so users can switch between f/2.4 and f/1.5, respectively. 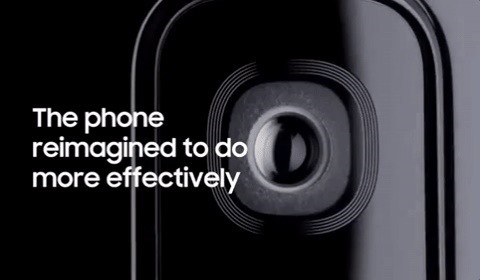 Samsung focused on this feature heavily in its presentation, as the company hopes to make it a major selling point. Samsung has also built 960 FPS slow-motion into both the S9 and S9+. With a resolution of 720p, your S9 might fill up pretty fast. Of course, you could back up to Google Photos to avoid losing your storage space due to slo-mo footage, but if you're going to use the feature frequently enough, make sure you're practicing excellent storage management. The cameras are built using anti-glare BBAR layer ghost technology, which is a type of material used to reduce glare and ghosting. It will be interesting to see how the S9 cameras stack up to the competition with this new addition. The S9 features an advanced facial recognition system that is arguably on par with the iPhone X's Face ID. The devices come standard with a 3D camera that includes a 3D depth-sensing map of the user's face, but it pairs this with an iris scanner to fortify security. This security feature is called IntelligentScan, and the combined iris scanning and facial recognition will happen automatically (after you set things up) to add a layer of security and convenience to unlocking the S9. 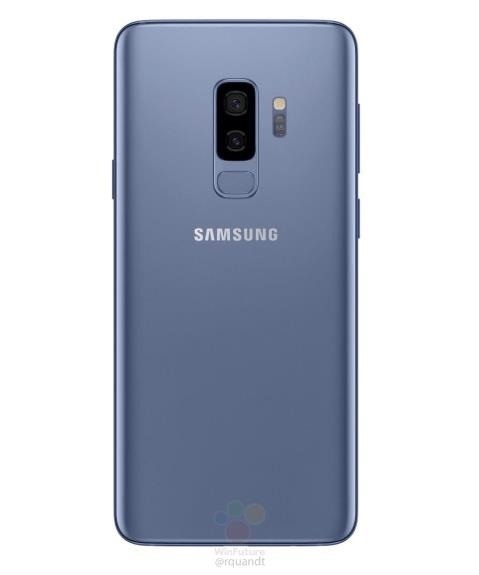 Although an excellent phone, the S8 brought disappointment with its hasty relocation of the fingerprint sensor — originally designed to be embedded directly in the display, Samsung moved the sensor to the back of the phone, confusingly next to the camera rather than underneath it. The switch was blamed on technology just not quite being there yet. While we didn't get an embedded fingerprint sensor with the S9, we did get the next best thing — a location that doesn't smudge our cameras. 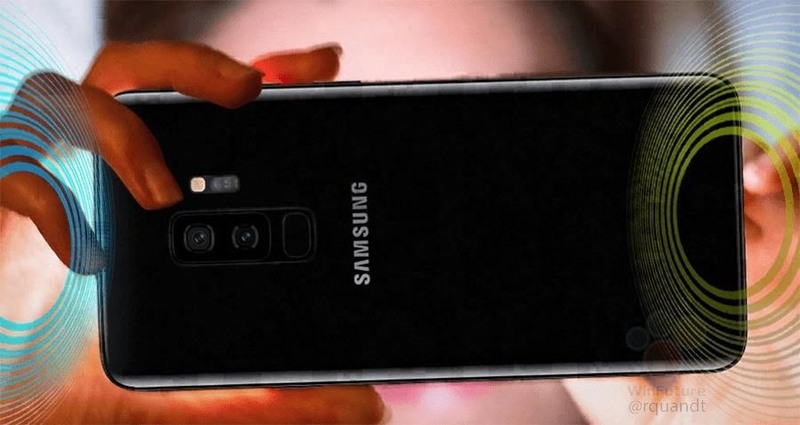 Samsung moved the sensor below the camera this time around, emulating the standard other smartphones have set for rear-mounted fingerprint sensors in the past. Hey, at least we don't have to constantly clean our cameras anymore. The S9 and S9+ come with solid batteries that compliment the impressive internal tech packed inside. The S9 and S9+ are built with 3,000 and 3,500 mAh batteries, respectively. While the S9+ predictably has a larger battery due to the larger 6.2" display, what's interesting is both the Snapdragon 845 and Exynos 9 models have the same battery sizes inside. Whether you have the more powerful or less powerful S9 or S9+, you will find a 3,000 or 3,500 mAh battery within. Perhaps Samsung has figured out a way to optimize its Exynos models for better power efficiency. However, only hands-on use will tell if our Snapdragon models actually come out ahead in terms of battery life. Just as with the S8, Samsung made sure to include a pair of AKG headphones in every S9 box. 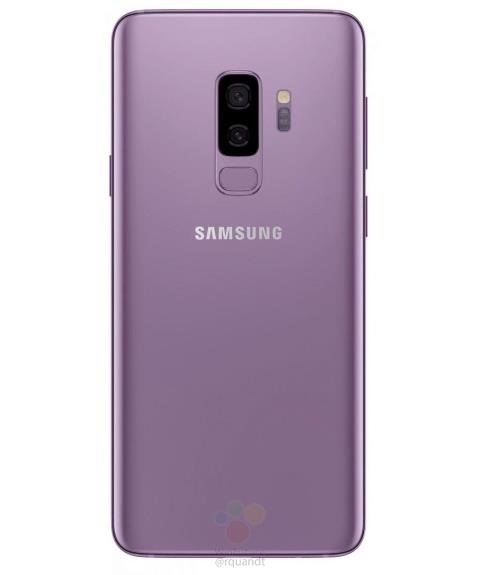 While we would have liked to see wireless headphones instead of wired, at least the S9 has a headphone jack to begin with. Maybe these AKG's are there to remind the smartphone world of that fact. Samsung made sure to improve over the mono speaker found in last year's S8, include not just one but two speakers on the S9. Now, we have a speaker on the bottom of the phone as well as the top, inside the receiver grill. While that's all the information we received during the presentation, more S9 tidbits are sure to pour out once journalists get their hands on these phones. For all benchmarks, secrets, tips, and more, make sure to check back with Gadget Hacks.